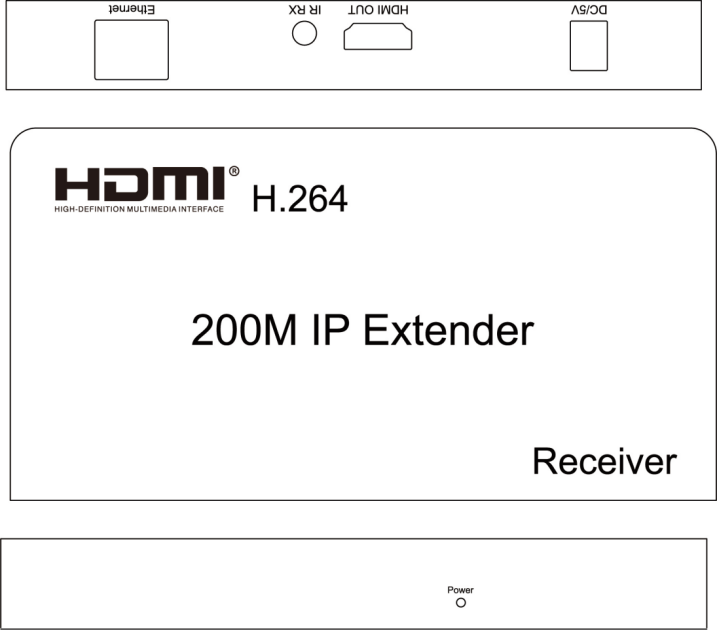 HDMI 200M IP Extender is based on TCP/IP standard. It transmits your HD display with the high resolutions up to 200 meters away from your HDMI or DVI-D source by using one CAT5e/6 cable. 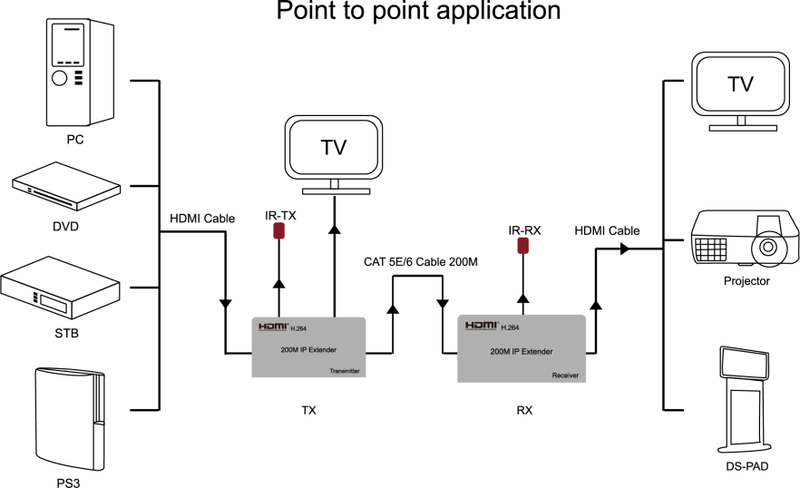 At the same time, it’s convenient to transmit HDMI audio and video source by point-to-point mode, one point-to-many mode and cascade connection mode . 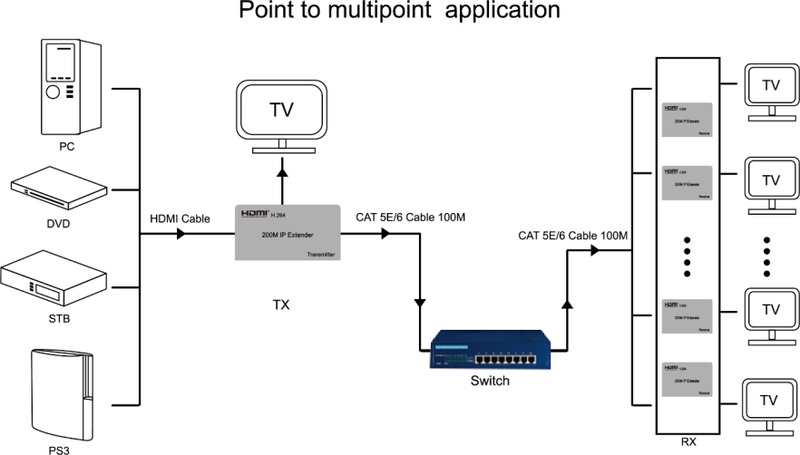 l Support point-to-point mode, one point-to-multi point mode and cascade connection mode. l The design of pure hardware, plug and play, no need for additional software. 1) Connect the HDMI source (such as DVD, PS3, STB ) to the “HDMI IN” of transmitter by HDMI cable. 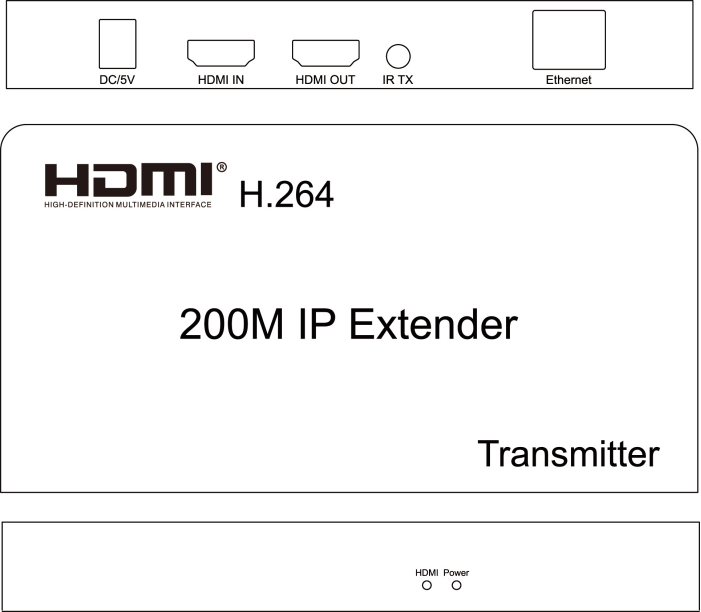 2) Connect the “HDMI out” of Receiver to HDTV display by HDMI cable. 3 )Use one Cat5e/6 (recommend) cable up to 200meters to connect the Sender and Receiver. 4) Connect the “IR receiver “into “IR-RX” port on receiver, and “IR transmitter ” into the “IR-TX” on transmitter, and make sure the IR transmitter aim at IR Receiver of the controlled device if you need the IR control function. 5) Connect two pieces of 5V power supply to the transmitter and receiver, power supply for the equipment and the LED indicator light on. When status lamp on and flicker, equipment starts normal.